The engine was last serviced in June 2018. 12 volt, 4 batteries charged by: engine, solar panels, shore power All batteries recently replaced. Harken winches. One is electric on port side. Raymarine 170 colour display with transducers - depth, speed, wind and log. 6 people liferaft. Ocean Charter. This boat looks new, feels new and still smells new. She is a spacious, bright and adaptable cruiser with beautiful lines.With 3 double cabins each with their own heads she will ensure luxurious comfort. 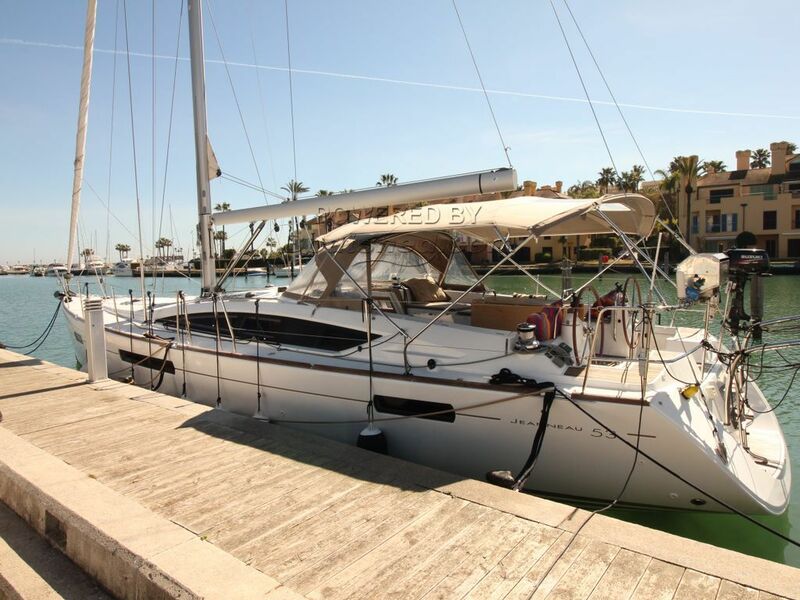 This Jeanneau 53 has been personally photographed and viewed by Andrew of Boatshed Gibraltar. Click here for contact details.